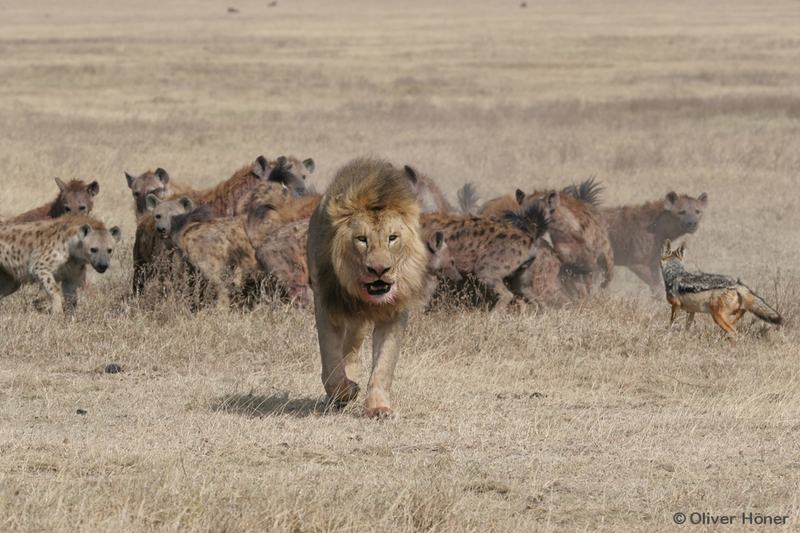 In the Ngorongoro Crater, spotted hyenas hunt most of their food by themselves. Their kills are however often stolen by lions. Young male lions are particularly prone to stealing food from hyenas because they rarely hunt by themselves and have not yet acquired a harem of females to hunt for them.